How do I view my account's recent activity? How do I view deleted waiver logs? How do I set up waivers to be emailed to me? How do I find my kiosk mode link? How do I create a custom (vanity) URL for my waiver? How do I add a Staff User? 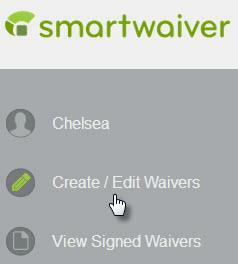 Smartwaiver can be set up to send an email notification to you each time a participant signs your waiver. 4. 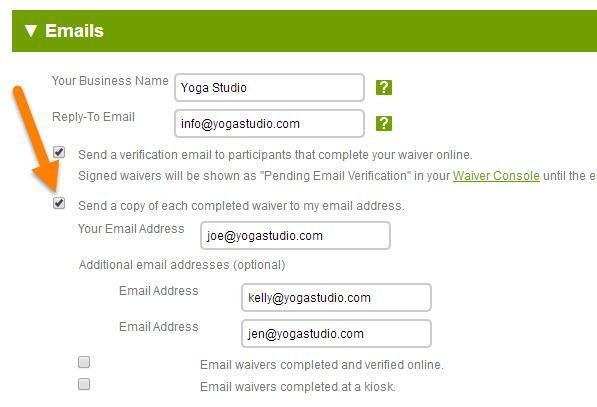 Place a checkmark in the box: Send a copy of each completed waiver to my email address. Two additional email addresses can be added to the notification list. What happens if I go over my waiver limit? How do I send a copy of completed waivers to specified email addresses?